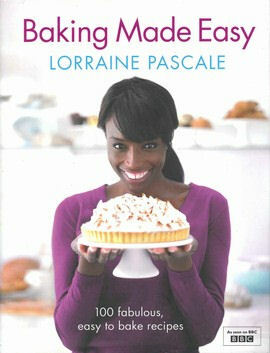 I am giving away a copy of Baking Made Easy by Lorraine Pascale! Lorraine Pascale is a supermodel turned patisserie chef. She has had several BBC series on baking and this is the book to accompany the first: Baking Made Easy. Lorraine shares her expertise, passion and all of her favourite baking recipes, sweet and savoury, The book features 100 recipes including breads, cakes, tarts, pies and much more. ...or Tweet your favourite bake to twitter.com/cherrapeno and leave a comment on this post saying you've tweeted. For a bonus entry, just sign up to the mailing list of The Works. All you need to do is email your details and the name of this blog (cherrapeno) to competitions@theworks.co.uk and leave a comment on this post to let me know you have done so. This giveaway is open to all readers over 18, who live in the UK. 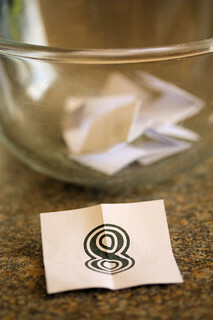 The winner will be chosen by random drawing and announced on this page next week. There is one prize of a Baking Made Easy Book by Lorraine Pascale. With thanks to The Works for the prize. Winner is comment No 8, Maxine Flossy, please drop me an email with your details so that I can get the book sent directly to you!